If you are having trouble viewing the music above, install the most recent version of Flash Player to view the music onscreen and play along with the clarinet part. It is a free download from Adobe. 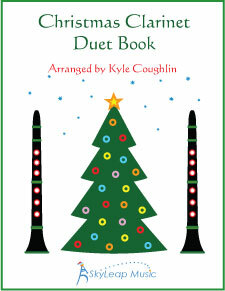 Play along with an mp3 file of the accompaniment to Jingle Bells.